Every country has its traditions and Spain is no exception - but the north-eastern region of Catalonia has one peculiar Christmas practice. When it is time to set out the Nativity scene in tens of thousands of homes, a small figure is added alongside those of the baby Jesus and the wise men. The caganer, as it is known, is a small figure depicted in the act of defecation. Traditionally a young man, nowadays the figure is just as likely to be a celebrity or international politician. 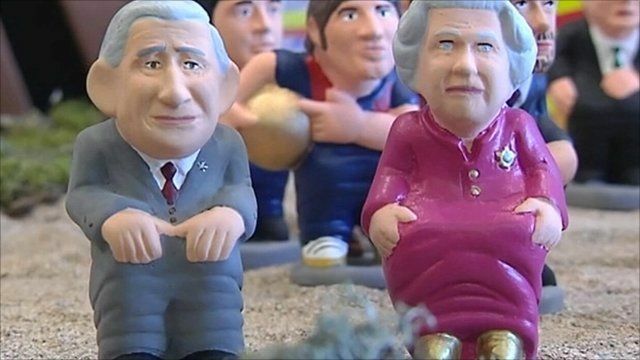 The BBC's Sarah Rainsford went to meet Sergi Alos, who makes the figures in Barcelona.